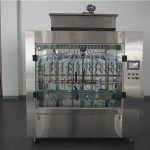 This filling machine adopt PLC controller, Photoelectric sensor, pneumatic operation in the integration of high-tech filling equipment, This model is divided into pressure type filling, normal pressure filling, diving type filling, especially Diving type filling is mainly used for easy foaming liquid filling, Design a set of filling body, diving termite pipe can dive to the bottom of the bottle in order to eliminate the bubbles, measured precisely, no bubbles, no drop leak. 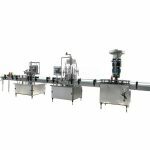 1, machine USES special filling valve, high-power vacuum pump to ensure after filling the liquid level. 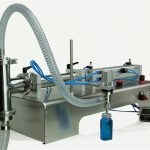 2, filling the sealed bottle, liquid along the bottle wall dirty, effective control of the filling liquid impact caused by the bubble, to prevent the spill. 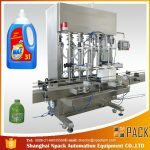 3, machine frequency control of motor speed, filling speed, the overload protection device, card bottle of downtime, boot soft start, elastic TuoPing device, is used to reduce the breakage of the bottle. 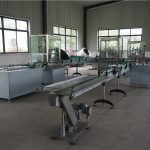 4, filling quantity adjustment by add and subtract the filling valve gasket, convenient and quick. 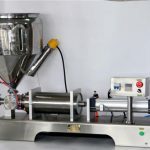 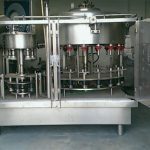 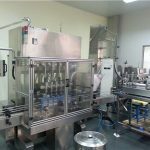 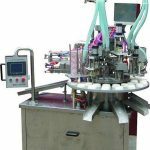 5, large range of filling machine, filling volume can be adjusted in 100 ml to 1500 ml. 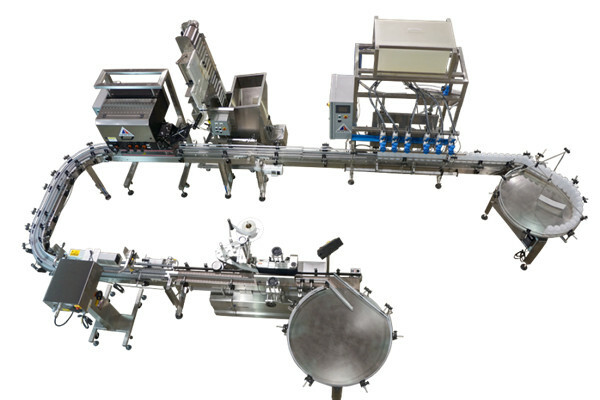 6, wide applicable bottle height can be adjusted between 180 mm and 380 mm mm (beyond range can be customized). 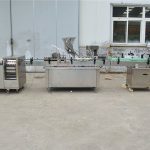 7, main seal made by imported silica gel, the main parts manufactured by food hygiene standard of 304 stainless steel.